A 300 acre plot of land for construction of the Games Village has been identified in preparation for the National Games 2022. 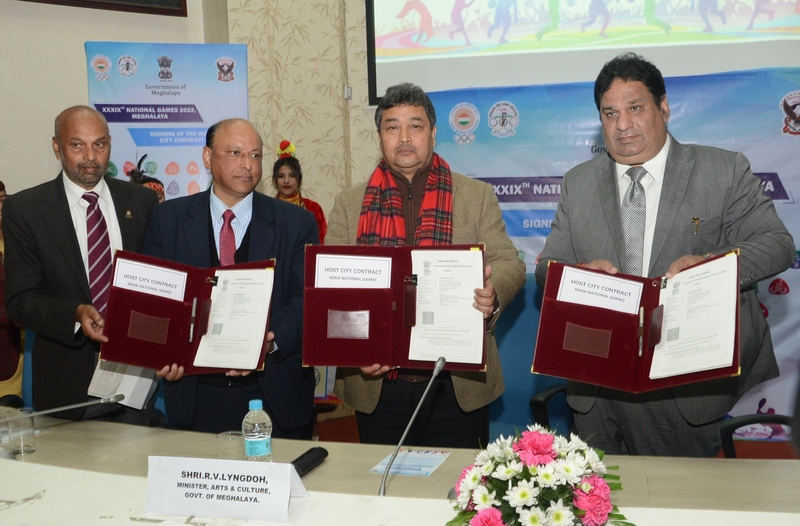 The land has been identified near Mawdiangdiang and the Meghalaya Government is preparing the groundwork to develop the land for the Games Village. Sports Minister Banteidor Lyngdoh said, “In that area, a stadium, swimming pool, cycling velodrome and other infrastructure would be built,”. During the National Games in Meghalaya there would be 36 disciplines. The venues of the Game will be spread across East Khasi Hills, Ri Bhoi, Ampati and Tura in Garo Hills. The State Government has constituted an Organizing Committee headed by Chief Minister Conrad Sangma for the National Games and several meetings have been held to chalk out plans for the Games. “The Sports department has done its homework and preparation for National Games is going on in full swing. With regard to building some of the infrastructure, by August-September we hope to see some progress,” Lyngdoh said, reports The Assam Tribune. About finance, the Minister said the Games would require massive investment and therefore the State Government is in discussion with the Centre and also other agencies so that funds aren’t a constraint. The Centre has already approved Rs 300 crore to the Sports department, officials said.